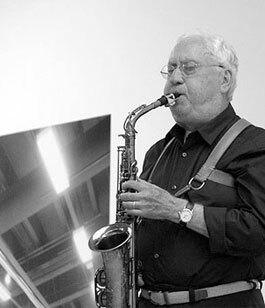 Lee Konitz (born October 13, 1927) is an American jazz composer and alto saxophonist. He is thought to be one of the main people involved in the cool jazz movement. 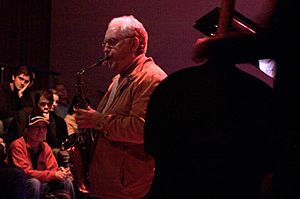 Konitz has also performed successfully in bebop and experimental jazz. Konitz was born in Chicago. Lee Konitz Facts for Kids. Kiddle Encyclopedia.